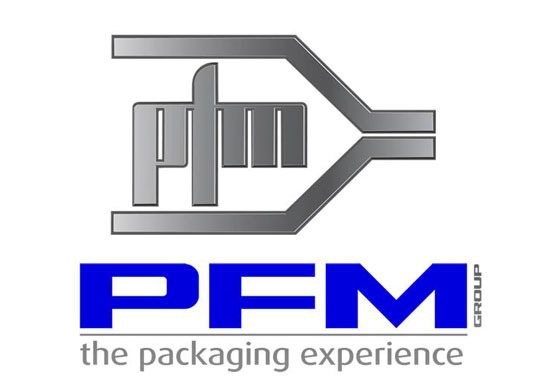 Our partner for soft wrapping is Italian PFM company which is a world-wide leader in the manufacturing of vertical and horizontal packaging machines. The company, with more than fifty years’ experience, carries out projects for all industries, working at the highest speed level and managing even the most problematic products. 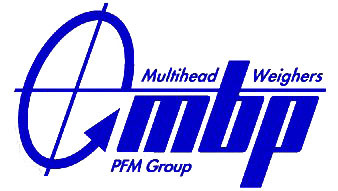 PFM has numerous models of both vertical and horizontal packaging machinery and additional professional equipment. The patented solutions, for example superfast timing hoppers with the packaging speed of about a hundred and fifty packs/min. 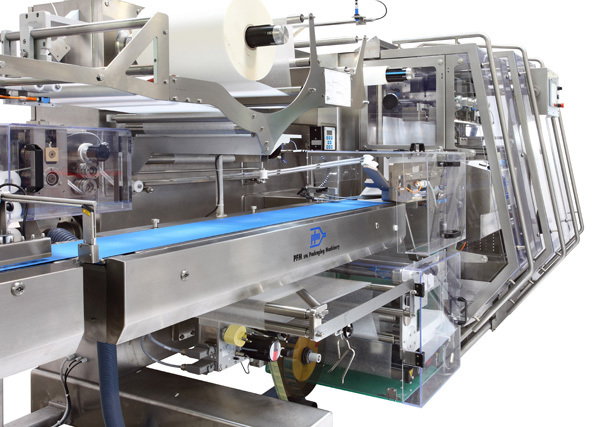 using vertical machines, and automatic systems of passing products to horizontal machines result in the packaging speed of several hundred packs/min. The experience in difficult glutinous products such as grated cheese allows us to find a proper solution for even the most complicated projects. 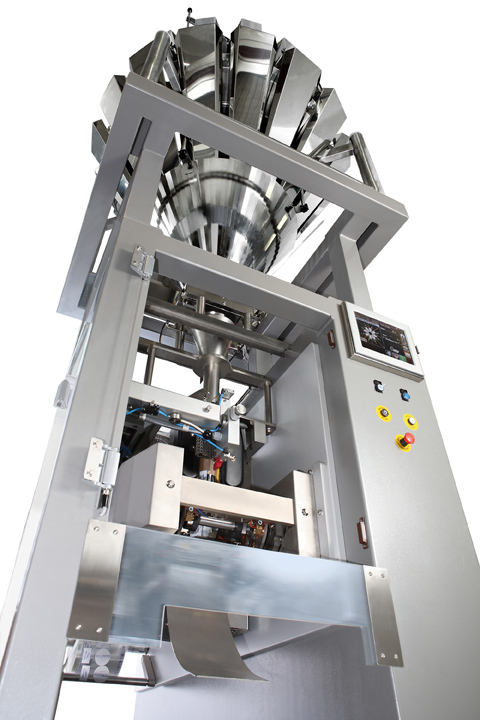 Our vertical machines enable to form most bag types from flat pillow bags to reclosable stand-up packages. 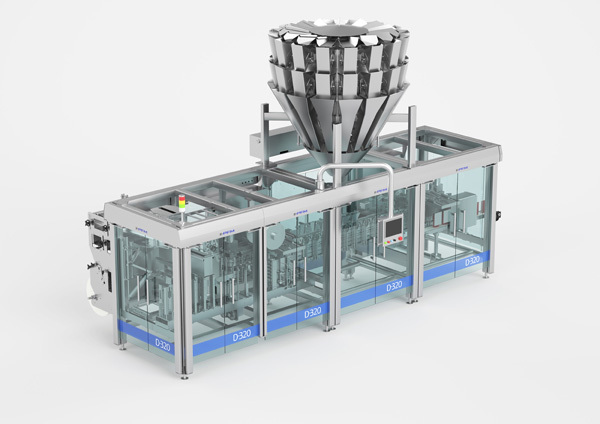 At the international exhibition of packaging machines Interpack 2014 in Düsseldorf PFM showed an innovative and landmark solution of the HFFS (Horizontal Form-Fill and Seal) horizontal packaging machine for Doypack packages. The Italian manufacturer presented a non-standard approach to designing HFFS machines which sets completely new directions in that field. The most important benefit resulting from this innovative concept is the flexibility of the machine. The change of format takes about a quarter of an hour, depending on the number of additional equipment installed in the machine. Most of the settings are made automatically, after choosing a proper programme from the machine’s memory or setting new work parameters. That advantage enables to save a huge amount of time which needs to be taken to change the format of the machines currently available in the market. Automatic machines with camshafts need a few hours to change their format, and it usually takes the entire shift. Replacing the current horizontal machine with the PFM machine D series with one or two format changes in a week, we can perform additional one- or two-month-long production per year. We are looking forward to doing business with you. We will be happy to meet you to explain how we obtain the highest accuracy and speed at work and also to learn about your needs and prepare a suitable offer. © 2014-2018 Packsol. Wszelkie prawa zastrzeżone.